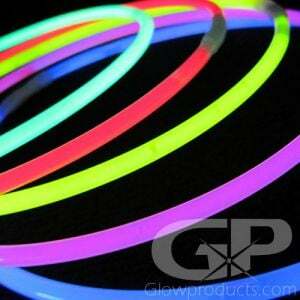 - 22" Glow Necklaces in an Assorted Color Mix! - 10 each of Blue, Green, Pink, Red and Yellow! 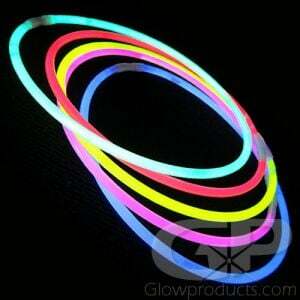 Assorted Color 22" Glow Necklaces! 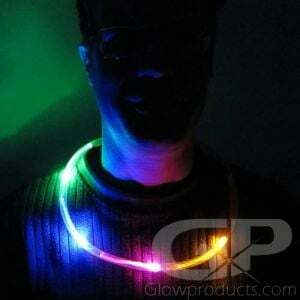 Get 5 fantastic glow colors in one single tube of glow necklaces. 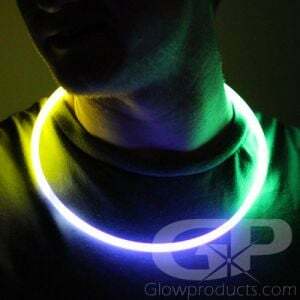 In our 22 Inch Assorted Color Glowing Necklace pack you get 10 pieces each of Glowing Blue, Green, Pink, Red and Yellow. So everybody at the party gets their favorite color! 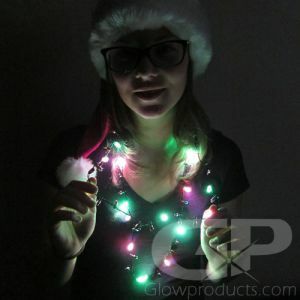 The Assorted Color Glow Necklace connectors come pre-attached, so there's no messing around with bags of connectors when you are handing out the Glow Necklaces at your event. 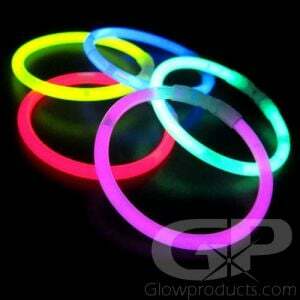 Our 22" Assorted Color Glow Necklaces are fun, versatile and are great for adding beautiful glowing color to any party! 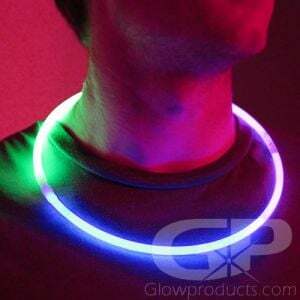 The Assorted Color 22" Glow Necklaces make any Halloween costume an instant hit, and the bright glowing necklaces will help people see your little Trick-or-Treaters at night. 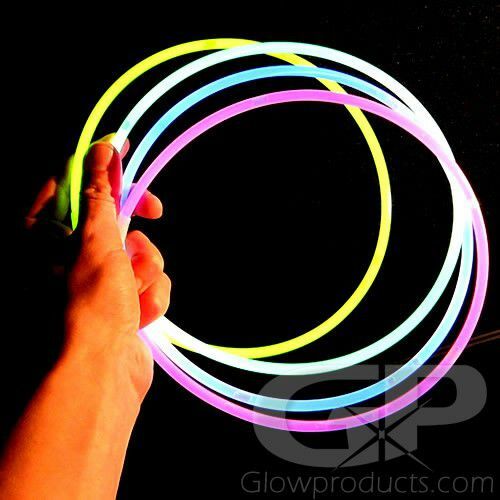 Use our Assorted Color 22" Glow Stick Necklaces as cool glowing centerpieces, or connect the glow necklaces together to make glow rope and light up trails or garden paths or fun party lights! 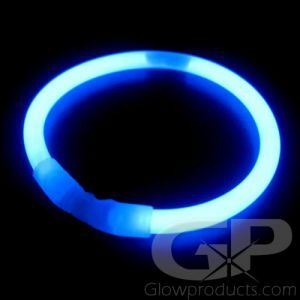 Use Glow Necklaces as people and area markers during your next night sports event! 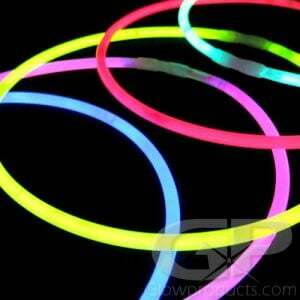 Assorted Color 22" Glow Necklaces are great to hand out to the kids when camping so you can keep an eye on them in the dark! Glow necklaces can be used to make some fun glow in the dark crafts as well! 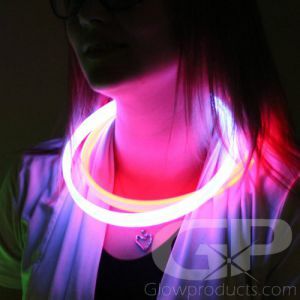 Our Standard 22" Assorted Color Glow Stick Necklaces are 6mm thick, have pre-attached necklace connectors and are 100% waterproof! Instructions: Bend along the length of the glow necklace to break the inner glow capsules, and then shake to get the necklace glowing! Bend to form a loop and push each end of the glow stick necklace into the connector.